You might already using maps and you perhaps have noticed that the information you are looking for is not there nor has wrong attributes. With Visiminds GPS/based photogrammetric measuring method you obtain the exact position of the asset you wish. We simply drive or fly along the roads, we use cars, helicopters and planes equipped with multiple high resolution cameras that are integrated with LiDAR. During acquisition we gather location information thanks to our sophisticated GPS receivers integrated with inertial system. 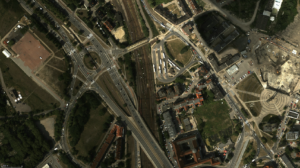 Our software enables you to view and extract any geo positioned information visible in our data. Inventory with precision, and control existing information regarding status. Have all assets positioned, which are marked on the map, photographed and laser scanned from all possible angles. The result is a the very exact documentation which you can return to from your desk at any time. 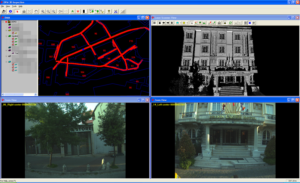 Exact measurements of facades, bus stops and pavements. 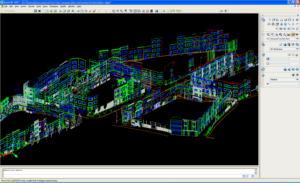 Using 3D images as a basis we can create virtual models and drawings prior to a reconstruction, plan or project. Exact inventory, with the laser scanned 3D model, distance, height surfaces and volumes can be calculated. Laser scanning is conducted simultaneously during a flight or drive as other documentation is collected. Experts can make different decisions from the same images grid law, masts, grid analysis, reinvestment etc. Existing as well as potential problems can be identified from your desk. A clear and exact image as well as factual material can be used as a basis for negotiations. Collected data can be accessed via the Internet from the organisations computers. Everyone at the company, or a selected number, can access the images. Users will be taught to use the whole systems capacity. Did you forget to take a measurement? How did the location really look? 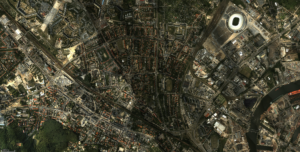 No problem – raise the images from the location and measure directly in the image. You can quickly evaluate if your specifications have been met by contractors. Look at an image from different angles. Rotate the 3D model. Information can be integrated with your information system.